Want to play outside the below times? Book a Private Party or Late Night Reservation (outside our normal hours) by clicking “book now” to see/ check availability. *Learn more about walk-in sessions, and private reservations. We are available for private parties outside normal hours! Please check our calendar below. Note: outside of normal hours reservations are available 2 days in advance. If you cannot find a date and time that accommodates your group needs, please give us a call. 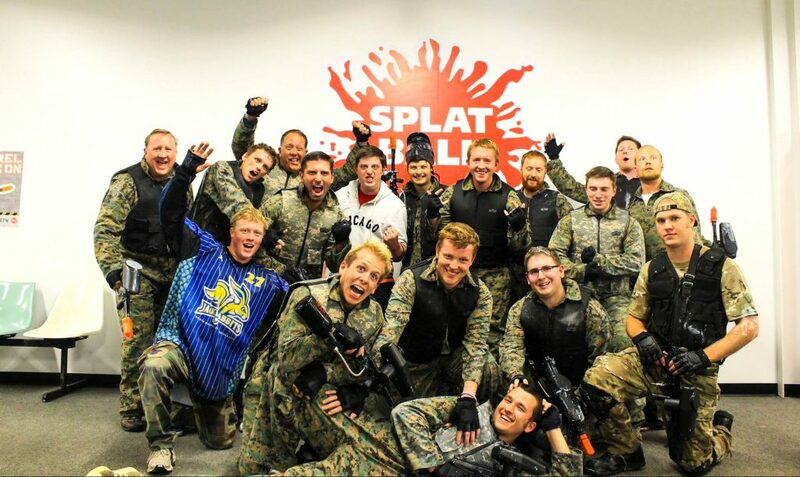 Splatball is Minnesota’s original indoor paintball company. Our indoor paintball center is located in North East Minneapolis, MN off of HWY 94. Our facility is available for booking any day of the week. We cater to every type of player (beginner to enthusiast). 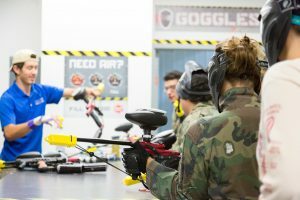 Our paintball field is perfect for your next birthday party, family event, bachelor party or company outing in the Minnesota.